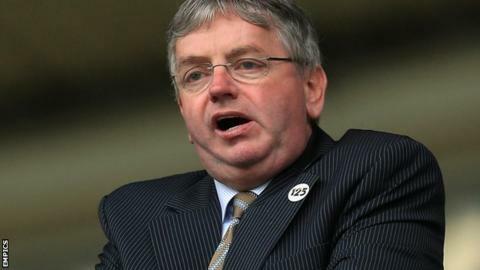 Blackburn Rovers managing director Derek Shaw has left the club. A club statement said his decision relates to "other business interests" and that Shaw "found combining the two roles too time-consuming". Blackburn are 18th in the Championship table and have been drawn at home to Liverpool or West Ham in the FA Cup fifth round on 20 February. Shaw's departure comes a day after Rovers sold striker Jordan Rhodes to Middlesbrough for £9m. Shaw, a former chairman of Preston North End, took over as Blackburn managing director in June 2012. Less than a year later, he was told to stay away from the club while an investigation was held into a compensation settlement for former Rovers manager Henning Berg.